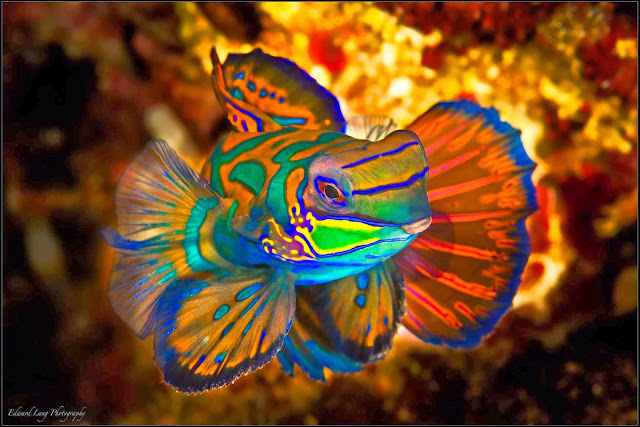 These fish are really neat. This picture I found online is my favorite. I also found this pretty picture. The link below leads to an article with some fun facts. 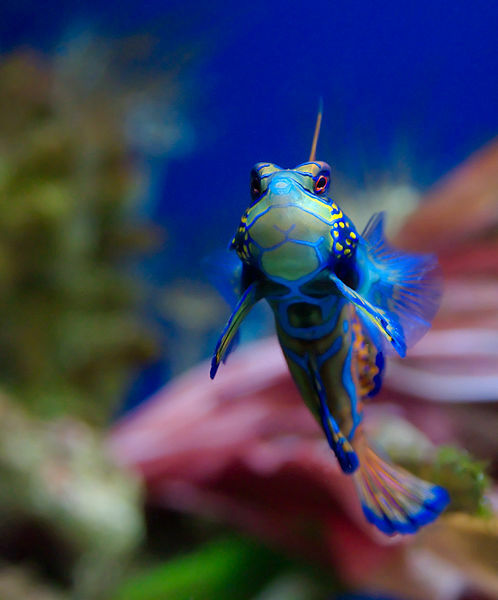 As much as I would love to own one in a fishtank... I think I'll stick with goldfish. 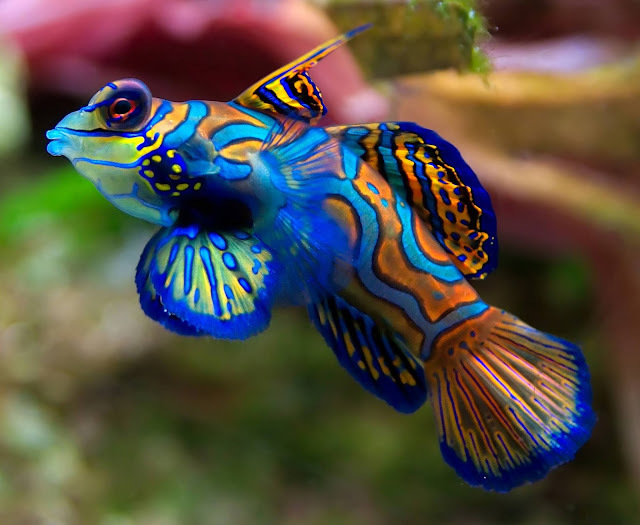 "Magical Mandarin Dragonet, I wish for a decent sized fish tank with a couple of cute goldfish in it since I really miss having one."